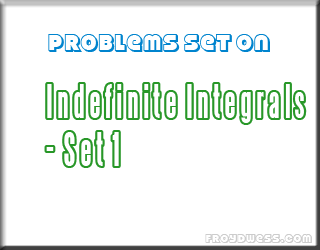 Now, that you already learned the basic Integration Formulas it’s time to solve some exercises. Always remember that the best way to fully understand every concept in math is through practice solving problems. If you are ready get a pen and papers and give your best shot. You can finish this exercises in about 15 minutes. Good luck. Are your Done? I know you are confident enough with your answers. Check the answers key to know if you got a perfect score.